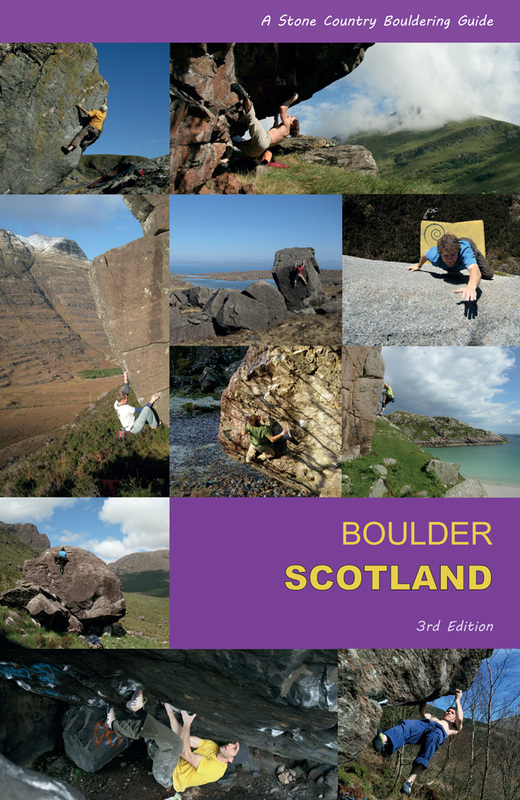 A new Inverness venue thanks to the efforts of Richie Betts and Mike Lee has resulted in some rare summer bouldering news! 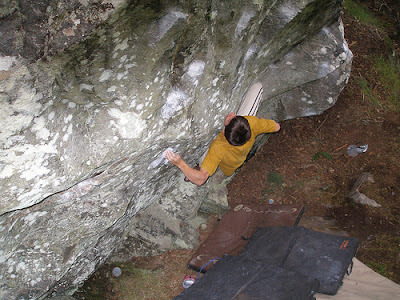 Richie had scrubbed up a fine boulder in the woods round Scatwell (Strathconon area) and passed on a line or two to young Mike, who despite the Lego-man hairstyle (Mike, see a hairdresser, son) has cranked out a hard-sounding Font 7b called 'The Catch', which seems to be the testpiece of the area... can't wait to get on it, sounds like a roof-monstrosity. 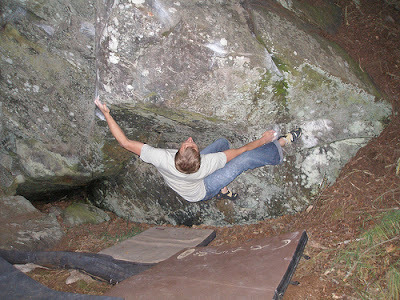 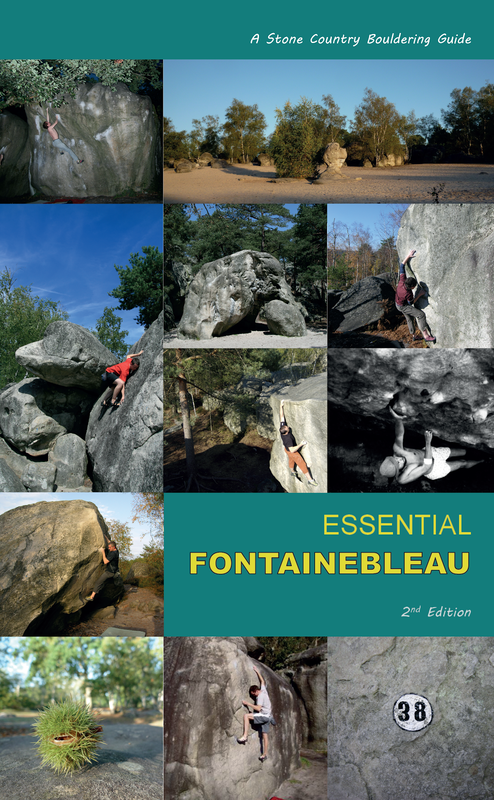 Richie himself wins the prize for the best named problem of the year ... 'The Road to Domestos' (roll your eyeballs) which looks like a great font 7a... he says it's a super funky slappy affair... anything funky is bouldering-speak for damned fine...let alone super-funky.